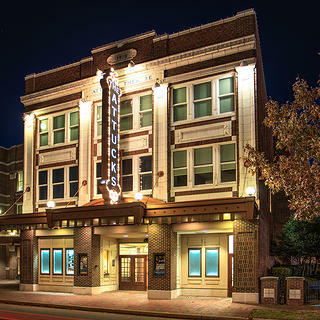 Much like the murals, the history behind the Attucks itself is not immediately apparent from the brick and white terra cotta that form the theater’s facade. But ask around Norfolk, and it won’t be too long before you find a city native with some kind of connection to the building. The place the Attucks holds in the collective memory of Norfolk’s African American community has not disappeared, even after years of vacancy, name changes, and collapsing ceilings. 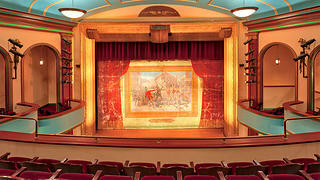 The theater's original fire curtain, designed by Lee Lash Studios of New York, depicts the Boston Massacre and Crispus Attucks' death. 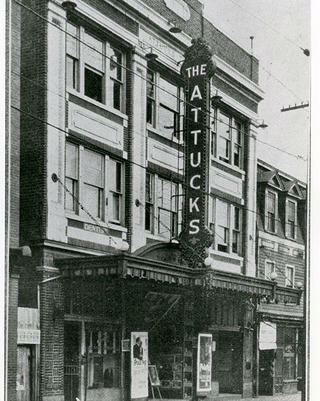 The Attucks Theatre as seen from Church Street in 1927. 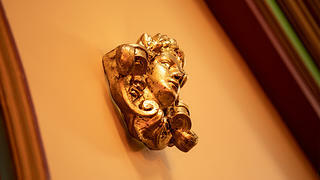 Three pastoral murals are protected by the newly constructed back wall of the first floor. 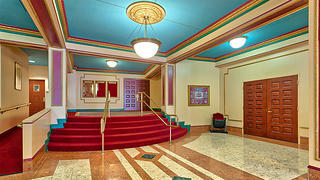 The restored lobby of the Attucks. 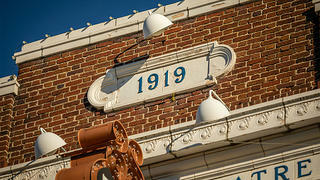 The date of the theater's construction appears prominently on the Attucks' facade. 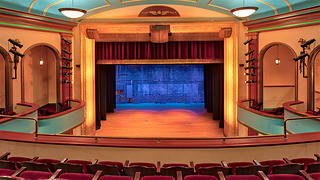 New lighting, sound, and rigging equipment was added during the second phase of the restoration. 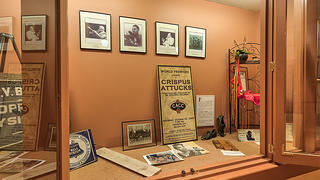 A second floor display case with artifacts from the Attucks' rich history. 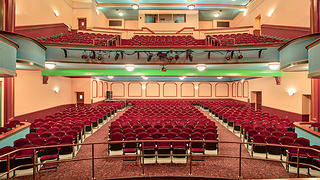 A restored "glowing-eyed angel" above a box seat. “There was sort of a sense of nostalgia, of realizing these bricks were laid for and organized by African Americans,” he says. “It was revolutionary for them to invest in the arts and entertainment that way— not just being the act, but being the producer and provider, and being able to control the place they had in the community."